Simon Petty, leader of Los Angeles roots-rock band Minibar, describes the band as "The cockroaches of rock," surviving the nuclear winter of label rejections large and small and even the indignity of having to listen to its music on "The O.C." only to continually be denied commercial success. Now the band is hitching its wagon to Pete Yorn, a dubious strategy, but the guys seem to have tried everything else already. The band is backing Yorn on his current tour and playing an opening set. 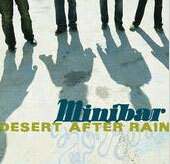 Minibar also is selling its latest disc, a solid self-released effort named "Desert After Rain." With soaring anthems, country-rock ballads and raspy vocals, it's something of a mashup between the Stereophonics and early Wilco. Aqualung is also on the bill for the show, which begins at 8:30 p.m. Friday, Feb. 23, at the Ogden Theatre. Tickets are $20. Visit www.nipp.com for more information.